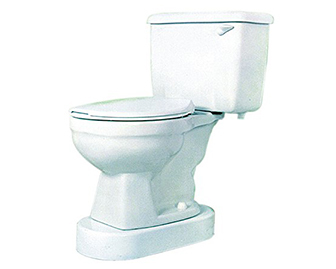 A supportive base that is placed underneath the toilet bowl to raise the height of the toilet overall. Great for people that have difficulty getting off low surfaces. Allows for easy clean up of the toilet bowl as it does not connect to the top.